Over two dozen attendees met at the Philipsburg-Osceola Middle School for a school safety discussion on Friday, September 14, 2018. The funds are part of Act 44, which grants each school district at least $25,000 this school year. Zesiger said he hopes it will remain sustainable, since his community can’t afford the long-term changes if the funding stops. Senate Majority Leader Jake Corman said the funding is secure. 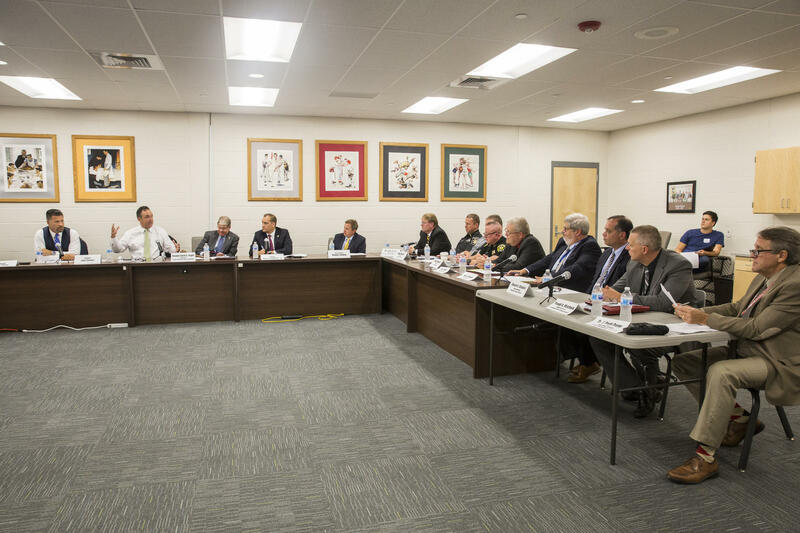 A Republican state senate policy committee hosted a roundtable discussion about school safety in Williamsport on Thursday. Much of the discussion centered around ways to allocate the $60 million lawmakers reserved for it this year. There were nearly a dozen school districts from Central Pennsylvania at the roundtable. 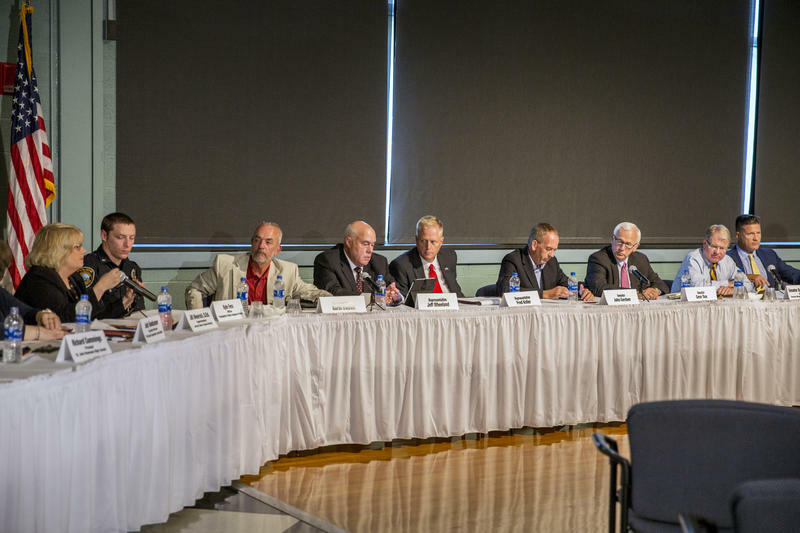 Lawmakers and school officials agreed the school safety needs of different school districts can vary greatly.